Get a head start planning for the upcoming 2018 Oregon Christian Home Education Conference? 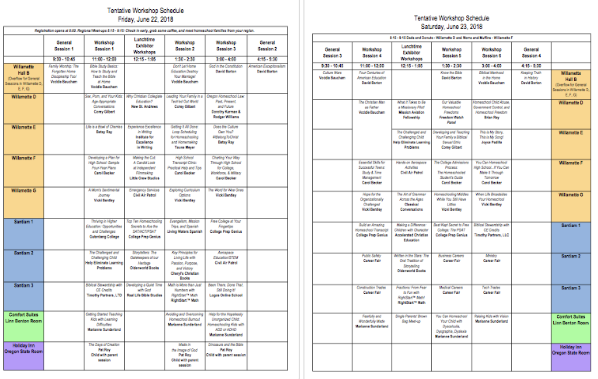 Print out the Schedule-at-a-Glance and highlight the sessions you want to be sure to attend and the ones you want to purchase audio recordings of afterward! Find out more about each conference speaker and their sessions by clicking on the links below. You can also click on their images on the conference page for these details.